Felix’s main area of practice is in family law with a special focus in matrimonial matters. 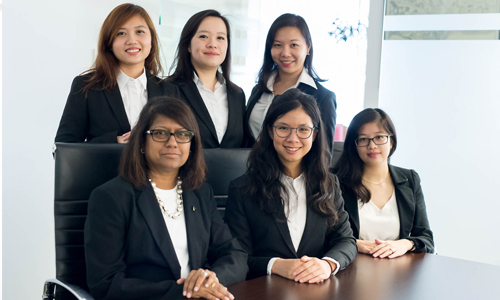 As part of Miss Gloria James’ family law team, he has advised high net-worth clients with multi-million dollar matrimonial asset pools as well as local celebrities. Felix has successfully represented both local and expatriate clients in highly contentious and non-contentious matters, in and out of court. He firmly believes in the guiding principle of placing the child(ren)’s interests first and, where possible, to resolve matters through various methods of alternative dispute resolution (“ADR”) before resorting to litigation. In this regard, Felix strives for the best in obtaining a favourable outcome for his clients in a cost-efficient manner. 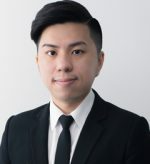 In line with his interest in ADR, Felix has had extensive experience in representing clients in mediations conducted at the Child Focused Resolution Centre (“CFRC”) and private mediations by the Singapore Mediation Centre. Felix has also conducted in-house Continuing Professional Development (“CPD”) sessions with our alliance firm, Sayer Jones (a Family Law firm based in Melbourne, Australia). He also assists the firm’s Criminal team with court hearings and drafting letters of representation. Prior to joining Gloria James-Civetta and Co, Felix gained invaluable experience in general litigation firms where he handled matters of various subject matters including construction, contractual, employment, probate and taxation. Felix is effectively bilingual in English and Mandarin Chinese with a good command of the Hokkien Dialect. 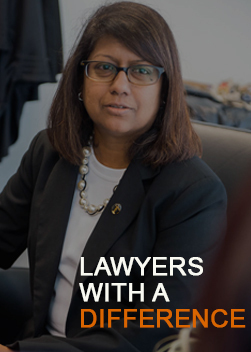 He believes in taking the time to connect with his clients so as to strategise legal options tailored to their specific individual needs. Outside of work, Felix has volunteered at Legal Clinics and Meet-the-People Sessions. He also serves actively at his church.